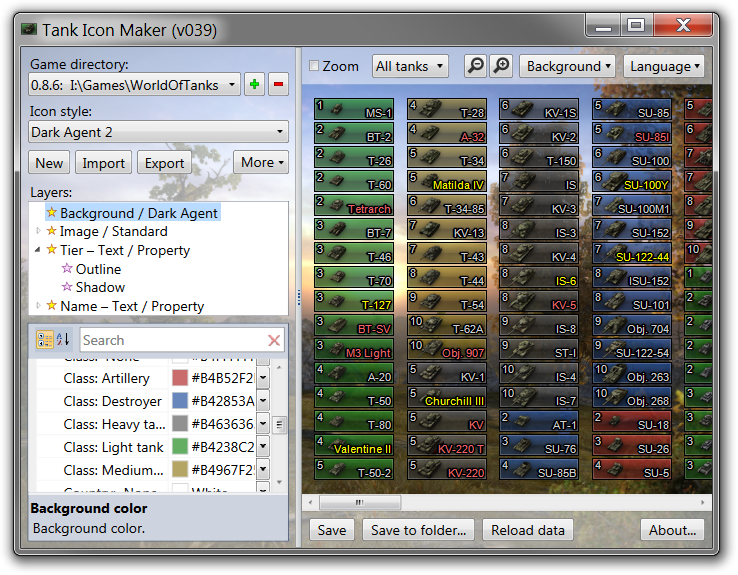 Tank Icon Maker Program allows you to create icons of tanks and Save to the folder. You can manually change the settings icon, for example, change the background images, the names of tanks, change the font, color and size of inscription tier of the tank, add pictures of the tank class (Arty, HT, MT, LT, DT). Now it’s easy to create your own icons, even without any special effort!